While writing out the title for this post,I was reminded of our college days where my friend Mary always ordered a fig and honey ice-cream from Baskins.I still don't know if she really liked it or ordered it just because it sounded exotic and different.We hadn't even known what a fig looks like then,so how can someone rave endlessly about the fruit,I don't understand.Now Mary,do not kill me after reading this ok? 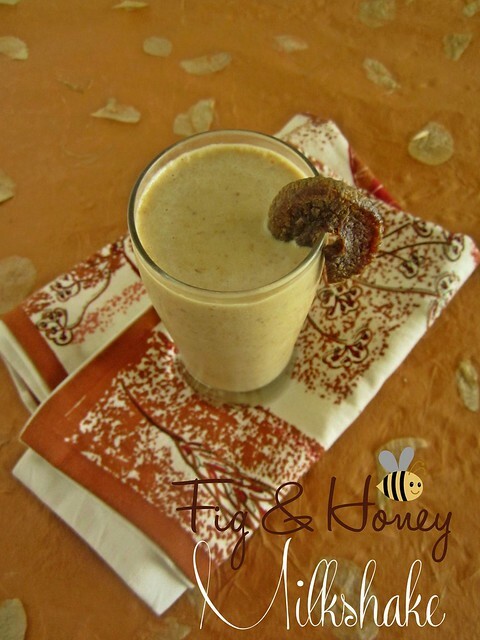 In March,while we were in Udupi attending a cousins wedding,I was startled to find a Fig Milkshake as a welcome drink.I hadn't given much thought to this humble dry fruit but was willing to give it a chance after all.The milkshake was crunchy and sweet and very refreshing on a hot summer day.I could taste the figs as well as a faint ice-cream taste. I decided to try it and see if it matches the taste.After all,a few ingredients including ice-cream and figs can never go wrong right. 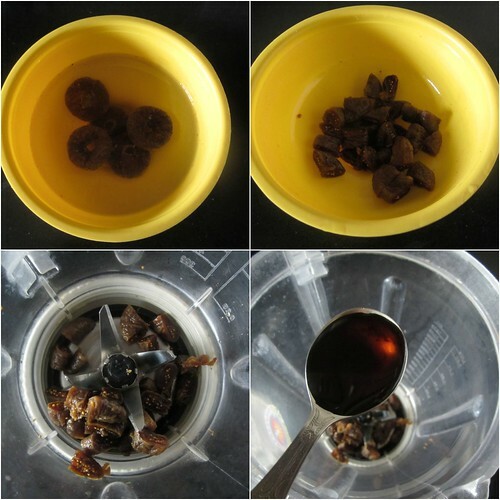 Soak the figs in warm water for 10-15 minutes.This step is important or else the figs wouldn't grind well. 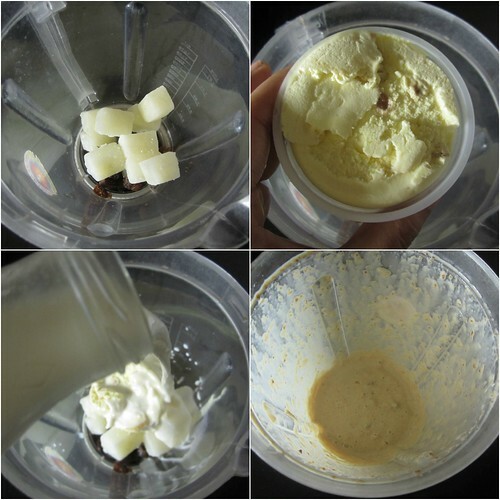 In a blender add chopped figs(chopped after soaking),honey,ice cream,milk ice cubes and milk.Blend for 10-15 seconds. 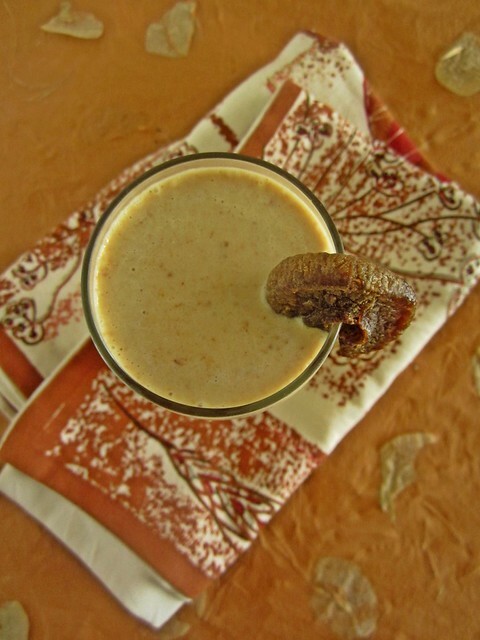 I haven't added any sugar in the milkshake because figs,honey and ice-cream provide the sweetness.However,if you feel it is not sweet as per your liking,add 1-2 tsp of sugar while blending. 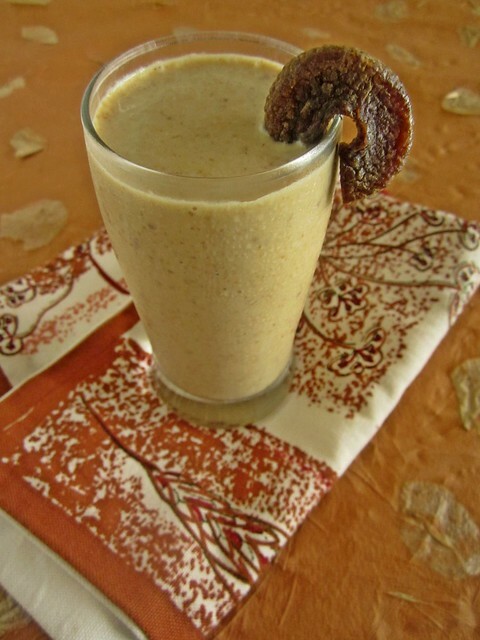 Soaking the figs in warm water is a must.It wouldn't blend in the milkshake otherwise(speaking from experience!). You can add any kind of nuts too for an added crunch.I added Butterscotch ice-cream coz that's all I had.Feel free to add Vanilla too. Delicious and healthy milk shake. Excellent preparation. so refreshing divya ! i love this milk cube concept ! Wow Love this combo ! great shots ! Tempting Photos. Energetic Milk shake. Looks Yum Divya :-) Nice recipe..